Wish for snow with a floral arrangement that's perfect for the season. With subdued, rustic hues, Let It Snow is a great way to welcome the winter season. 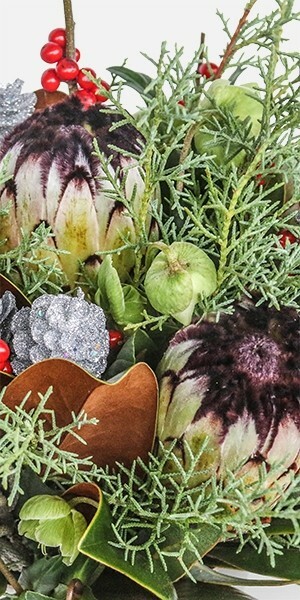 Giant protea are definitely the stars in this arrangement, along with the clusters of brunia that are sure to be a hit. 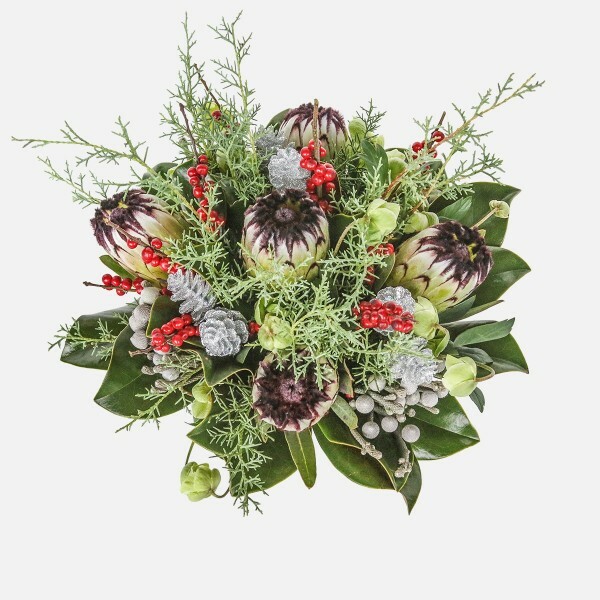 Magnolia leaves, evergreen sprigs, and berries finish it off with additional color and texture. Wish for snow in style!